The Bucs lost in devastating fashion against the Raiders last week, and coming straight into a game on a 4 day turnaround against one of the best offensive units in the NFL. 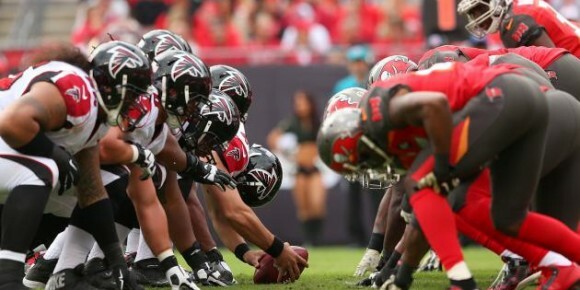 The Bucs should be able to put up points, but how they go about stopping Matt Ryan & that offence I don't know. This game has points written allover it, so it'll probably finish 10-7, but I'm going Falcons in a shootout. This is a must win for both teams if they want to keep pace with Dallas in the division race. The Giants have really under performed this year, but still sit in reach at 4-3. 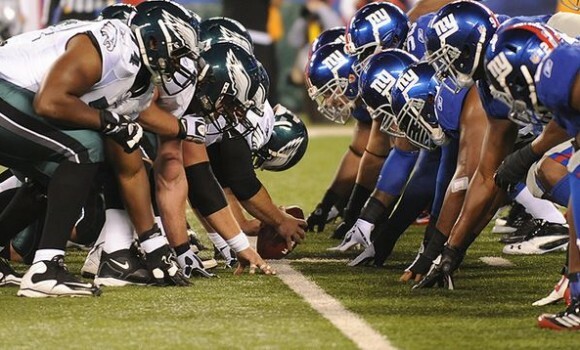 The Eagles have owned the Giants in the past few years, winning the last 4 meetings, winning only 1 of the last 5 against them at home. I like that to continue, Eagles win. How/why the spread in this is still only -7 for Dallas I don't know. The Cowboys have the best run game in the league, the Browns can't stop the run at all, and are back to Cody Kessler starting at quarterback. I think the Browns will be able to score some points, but I think Ezekiel Elliott may get 200+ yards in this one. Dallas wins in a blowout. The Vikings have recently been exposed, and teams now seemingly have the blueprint on how to beat them. Their offensive line is awful and Bradford has been getting hit a lot, expect the Lions to get after him early. I actually like the Lions to win this game, and will be snatching up the +6 spread on them. It sounds like Nick Foles will start at quarterback for the Chiefs with Alex Smith injured, but I don't think it really matters. I think Spencer Ware will have a big day against a weak Jags run defence, and expect at least 2/3 turnovers from Blake Bortles against that Chiefs secondary. Kansas City should win by at least a touchdown. The Jets are a disaster, and although the Dolphins are hardly a good team, they should win this one. It'll be a big test for Jay Ajayi who's the in-form running back in the league at the moment, against a brutal Jets run defence. I think the Jets will keep it close, then somehow shoot themselves in the foot again, Dolphins win. Roethlisberger's status for this game is still up in the air, and if he plays I think the Steelers win this game. If he doesn't, I like the Ravens. I think Le'Veon Bell should have a big game, and expect CJ Mosely to follow him all around the field. Mike Wallace will be motivated to beat his old team that let him go a few years back, but the outcome still comes down to whether Big Ben plays or not. This could be one of the better games of the weekend. Marcus Mariota has been playing well lately, and I expect the juggernaut that is the Titans run game to continue rolling. There should be plenty of points in this one, and it will be close, but I think the Chargers find a way to scrape the win. The Rams have somehow been good at home this year, but the Panthers finally seem to be heading in the right direction, as they did two season ago. I like Carolina in this one, mainly because the Rams don't have the personnel to match up with Benjamin, Funchess, Olsen, all the big targets the Panthers have. I think Newton will be getting hit a lot, but they find a way to win. This has shootout written allover it. Both teams basically have no defence to speak of, and both quarterbacks can sling it. I like the Packers to win, mainly because Aaron Rodgers has more weapons to work with, but I think Andrew Luck will keep it relatively close. Packers win. The Saints haven't exactly been convincing this year, but the Niners are easily among the 5 worst teams in the league. Kaepernick should have fun against a weak Saints defence, but I don't see how the Niners plan to stop Drew Brees in this. Saints normally struggle on the road, but I can see them dropping 35/40 on the Niners this weekend, Saints win. 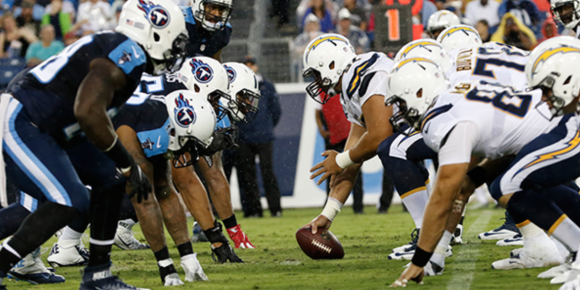 Finally the prime time games in the NFL actually sound like they're worth watching, and this game could have huge implications for the AFC West. The Raiders offence looks as good as any at the moment, Derek Carr looks the real deal, and continues to show up when it matters. Only problem is, the Broncos have the best corners in the league, so if anyone can stop the Oakland passing attack, it's Denver. 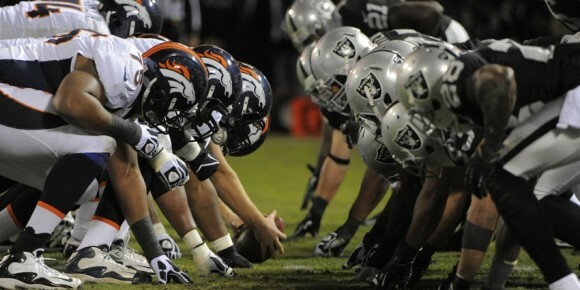 I like the Broncos win in a close one. Hoping to carry on from a great weekend on the NFL. I really like the Seahawks to win comfortably in this one. 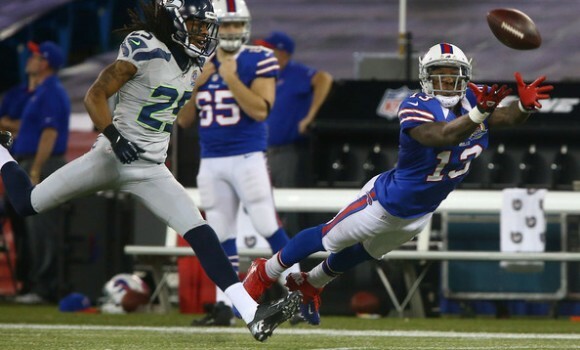 Since Pete Carroll tookover in Seattle they've been scary good at home in prime time, and I think the Bills offence will have hardly any success tonight. Russell Wilson will find a way to get the job done on offence, but I don't see them needing to score a lot to win to be honest.